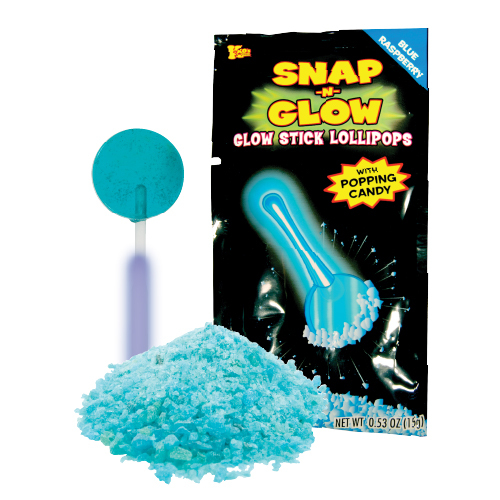 Light up your life with Snap-N-Glow Lollipop with Popping Candy! 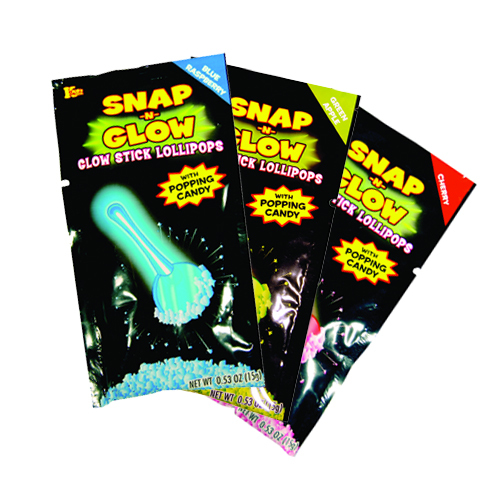 Snap the glow-stick lollipop to activate then lick the lollipop and dip it into popping candy. 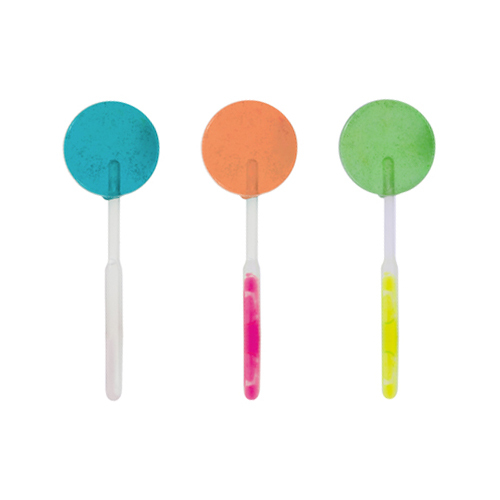 Day or night, enjoy it in three flavors: Cherry, Blue Raspberry & Green Apple. 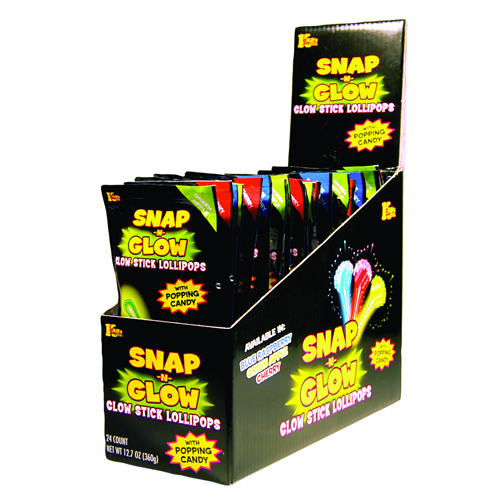 Each Snap-N-Glow Lollipop with Popping Candy display box contains 18 pieces.